Our client fosters and maintains an environment that values the unique talents and contributions of every individual. It is through the diversity of their people – whose varied skills sets, backgrounds and cultures shape their outlook – which enables them to explore unique avenues and uncover opportunities unseen by others in their industry. They have asked us to identify female candidates for the a Head of UK and EMEA Tax opportunity. Provide tax technical and project support for ad hoc corporate or business related projects. Identify opportunities and recommend steps to improve or maintain tax efficiency of the group. Review and coordinate UK and EMEA tax return preparation activities; ensure direct and indirect tax compliance requirements are met as necessary and oversee external non-UK tax compliance advisors. Ensure transfer pricing policies are implemented and accounted for properly. Ensure compliance with BEPS and OECD requirements. Oversee CBCR filings. Work with accounting, finance, legal, and other personnel to identify tax issues and opportunities, including implementation of strategies. 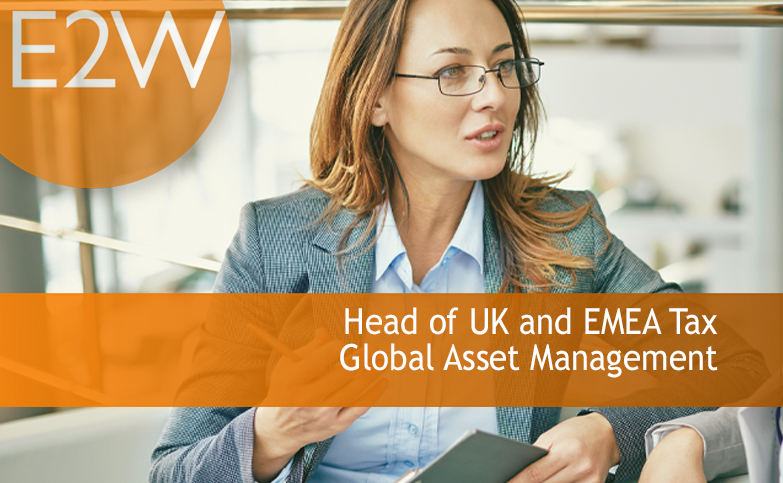 Responsible for SOX tax related controls applicable to UK and EMEA entities. Respond to audit inquiries; interact with tax authorities, as appropriate. Manage tax accounts, including reconciliations for UK and EMEA entities. Prepare/review consolidated and individual company tax provisions and tax disclosures. Oversee VAT filings and process/methodology. Assist in restructuring of entities for tax efficiencies and tax minimisation strategies. Communicate with other members of tax team regarding projects. Involvement in product taxation, including FATCA and CRS reporting.